Mr. Justice MianGul Hassan Aurangzeb in his judgment has decided the issue regarding public sector appointment for period in excess of advertised terms in Writ Petition No. 4202 of 2018. Through the instant writ petition, the petitioner, Muhammad Shafeeq, who is serving as General Manager, Hydrocarbon Development Institute of Pakistan (“H.D.I.P.”), impugns the notification dated 30.11.2017, issued by the Establishment Division, whereby respondent No.4 (Muhammad Azam) was appointed as Director General, H.D.I.P. for a period of three years. The petitioner prays for the said appointment to be declared unlawful and for the salary and other benefits received by respondent No.4 to be recovered. 2. Learned counsel for the petitioner submitted that respondent No.4’s appointment as Director General, H.D.I.P. is without lawful authority; that as per the advertisement dated 05.06.2016, the appointment of Director General, H.D.I.P. 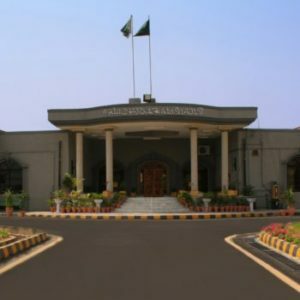 was to be for a period of two years, whereas respondent No.4 was appointed for three years; that respondent No.4 was instrumental in procuring an attractive salary package for himself; that respondent No.4’s salary package has not been approved by the Federal Government in terms of Section 8 of the Hydrocarbon Development Institute of Pakistan Act, 2006 (“H.D.I.P. Act”); that before determining the pay package for respondent No.4, the Board of Governors of the H.D.I.P. did not seek approval of the Federal Government as required by Section 8(1) of the H.D.I.P. Act; that the exorbitant pay package determined by the Board of Governors of the H.D.I.P. for respondent No.4 is wholly unlawful; that the Director Generals of the H.D.I.P. appointed earlier were not paid any salary unless an approval was granted by the Federal Government; that the Finance Division, vide letter dated 21.06.2018, has also pointed out the illegality in the salary and other benefits drawn by respondent No.4; that respondent No.4 is a retired officer and could not have been re-employed on contract basis; that under Regulation No. 4.1 of the Hydrocarbon Development Institute of Pakistan Service Regulations, 2017, the Director General of the H.D.I.P. must be a regular employee; and that regular employees of the H.D.I.P. had legitimate expectation to be appointed as Director General, H.D.I.P. Learned counsel for the petitioner prayed for the writ petition to be allowed in terms of the relief sought therein. 3. On the other hand, learned counsel for respondents No.2, 4 and 5 submitted that respondent No.4 was appointed as Director General, H.D.I.P. as a result of a competitive process; that the petitioner had also participated in the competitive process for the appointment of Director General, H.D.I.P. ; that the petitioner was not one of the three candidates recommended by the Evaluation Committee for appointment as Director General, H.D.I.P. ; that respondent No.4 was more qualified than the petitioner; that respondent No.4 has done his M.S. in Geology, whereas the petitioner has done his M.Sc. in Chemistry; that relations between the petitioner and respondent No.4 were strained; that the instant petition had been filed by the petitioner only as a pressure tactic; that the petitioner was annoyed with respondent No.4 because he had been transferred to Karachi; that the writ petition filed by the petitioner against his transfer had been dismissed by this Court; that respondent No.4’s pay and benefits had been determined by the Board of Governors of the H.D.I.P. strictly in accordance with the applicable law; and that since respondent No.4’s qualifications were not deficient and since there had been no procedural impropriety in his appointment process, the instant petition is liable to be dismissed. In making his submissions, learned counsel for respondents No.2, 4 and 5 placed reliance on the cases of PLD 2018 Supreme Court 114, 2008 SCMR 960, 2005 SCMR 1829, 2018 CLC 1910, 2017 PLC (C.S.) 1327, 2015 PLC (C.S.) 793, 2014 PLC (C.S.) 853, 2014 CLC 639 and PLD 2011 Peshawar 164. 4. The learned Assistant Attorney-General’s sole submission was that since the salary package determined by the Board of Governors of the H.D.I.P. for respondent No.4 had not been approved by the Federal Government, the same shall be subject to such an approval and if the Federal Government determines a salary package less beneficial than the one approved by the Board of Governors of the H.D.I.P., adjustments/recoveries shall be made from respondent No. 4. 5. I have heard the contentions of the learned counsel for the contesting parties and have perused the record with their able assistance. 6. The record shows that on 05.06.2016, the H.D.I.P. published an advertisement inviting applications from candidates for appointment against the post of Director General/Chief Executive Officer in the H.D.I.P. The applicants were required to have twenty five years’ experience in a public sector organization or in the oil and gas sector companies or in a senior management position in the private sector. It was explicitly stated in the said advertisement that the appointment was to be on contract basis for a period of two years. 7. The petitioner and respondent No.4 were amongst the nine candidates who were shortlisted for appointment against the said post. The Evaluation Committee comprising of (i) the Federal Minister for Petroleum and Natural Resources (Chairman), (ii) the Secretary, Ministry of Petroleum and Natural Resources (Member), and (iii) Additional Secretary, Establishment Division (Member) awarded 58 marks to respondent No.4 and 39 marks to the petitioner. As per the notification dated 30.11.2017 issued by the Establishment Division, respondent No.4 was appointed by the Federal Government as Director General, H.D.I.P. for a period of three years. On 05.11.2018 (i.e. eleven months after respondent No.4’s appointment as Director General, H.D.I.P. ), the petitioner filed the instant writ petition to challenge the said notification dated 30.11.2017. This entry was posted in Case Laws, Constitutional Law, Energy & Utilities, Hydrocarbon Development Institute of Pakistan, Islamabad High Court, Knowledge - Constitutional Law, Litigation & Arbitration, Maintainability, Public & Admin Law, Quo Warranto, Solutions - Constitutional Law. Bookmark the permalink.